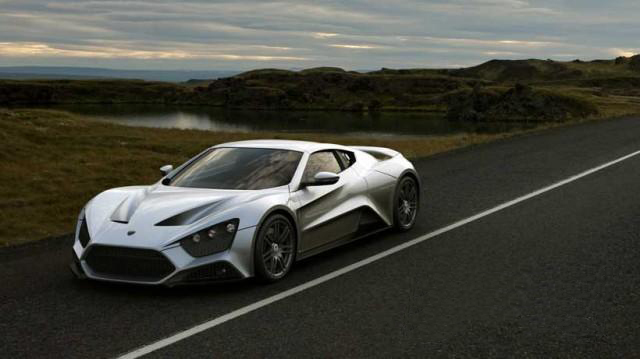 NEW IN December 2008 The numbers and specifications of the newly announced Danish-built Zenvo ST1 sports car? put it in elite company. 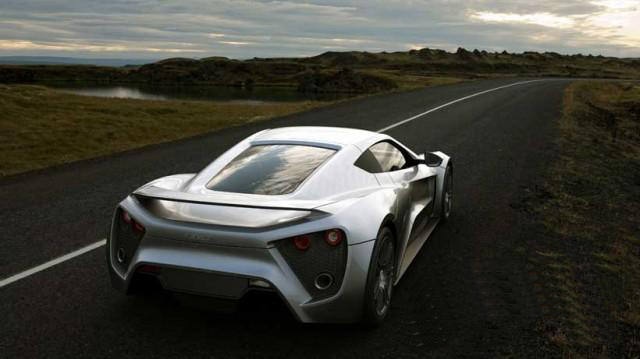 With 1104 bhp and a weight of 1376 kilograms, the Zenvo has a power to weight ratio only bettered by a handful of cars on the planet – the Caparo T1, SSC Ultimate Aero TT, Koenigsegg CCXR, Caterham Levante and the LeBlanc Mirabeu – plus a few supersport motorcycles. The 7 litre V8 engine uses a novel forced induction set-up featuring both supercharging and turbocharging to give it a staggering maximum torque figure of 1430 nm at 4500 rpm (Bugatti Veyron = 1250 nm), making it one of the fastest accelerating cars in existence – 0 to 100 in 3 seconds fast. Only 15 will be built with what we expect will be a price tag in seven figures, commensurate with its electronically-limited 375 kmh top speed. The chassis is comprised of a lightweight steel racing frame with carbon fiber? body panels and hydraulic ride height control – equally as good for getting out of driveways as it is for top speed on the autobahn. 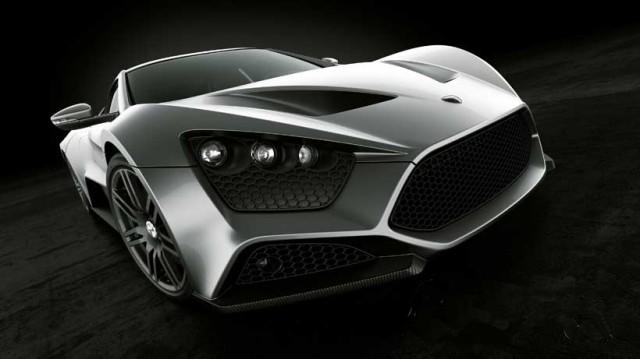 Our guess is that Zenvo in electronically limting top speed to 375 kmh, doesn’t want to create a target for others just yet because its aerodynamic credentials and power suggest it’ll be a contender for the fastest car? title. Inside, it’s hardly the sort of Spartan interior normally associated with elite sports cars – it comes with heads-up display and g-force meter for starters, then there’s the dual zone automatic climate control, an electronic analog instrumentation display including a Driver Information Center, keyless access and both racing seats electrically adjustable as is the telescoping racing steering wheel for easy access and identical settings every time. With a car of this height, an auto-dimming rear view mirror is yet another touch that indicates they’ve thought it all through. Denmark has seen a number of outrageous kit cars produced prior to now, but has never had an elite manufacturer of sports cars of this ilk – it’s the brainchild of designers Jesper Jensen and Troells Vollertsen. seen from front or rear this has got to be the uglyist car ever.